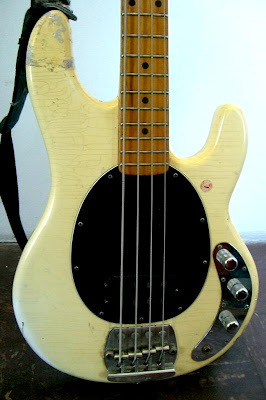 "Leo Fender, the man who first brought the electric bass guitar into the hands of many, sure thought up some great designs, didn't he? 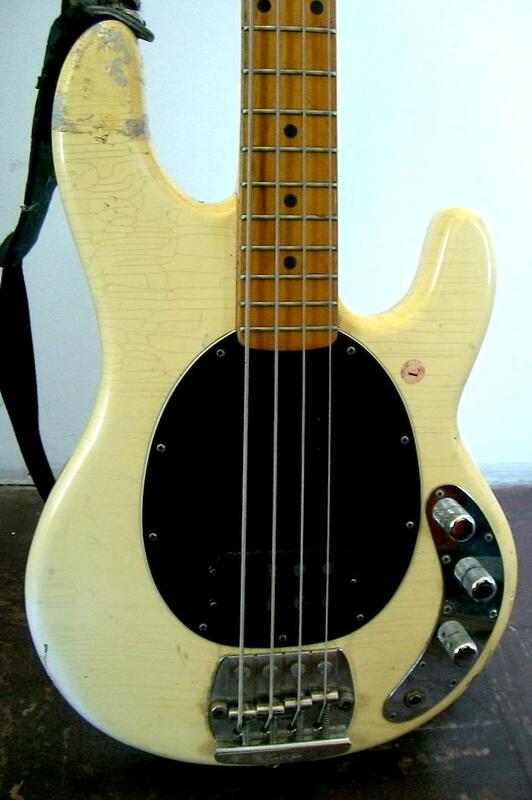 The Stingray was offered as a complete revision of the iconic Precision Bass, and it's certainly a winner! Full 34" scale length with one big, mean pickup in the bridge position. Tons of tonal flexibility from the onboard controls. This instrument was made in the mid-seventies by the original incarnation of Music Man before the sale of the company to Ernie Ball. It certainly shows a life of rock and roll with numerous scratches and dings. The instrument odes not have any breaks to the wooden areas, hardware, or electronics and is working well with no issues to speak of. 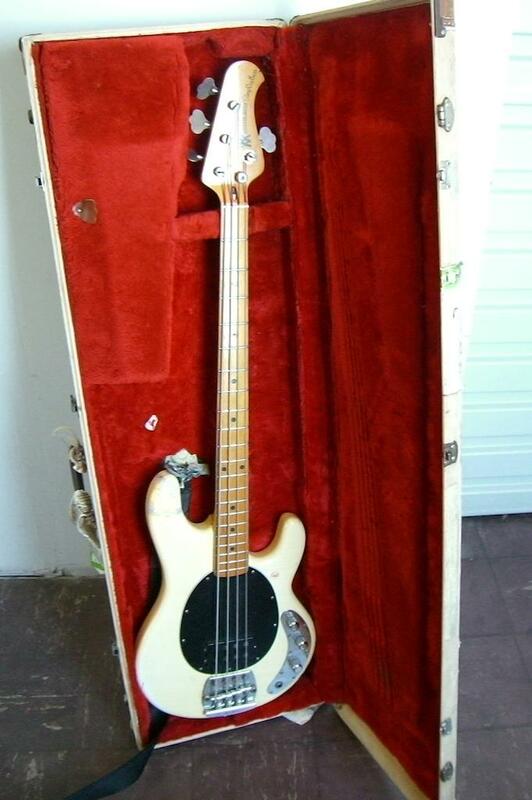 We have had the bass professionally set up and intonated for maximum playability and sound quality. 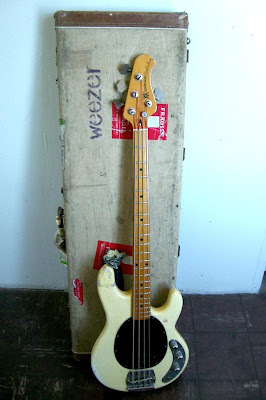 This Stingray is one of the basses used to record Weezer's 2nd album 'Pinkerton' as well as B-sides from the same, specifically featured on the song 'Why Bother'. It has been used on Weezer tours supporting their record 'Pinkerton'. Featured in the attached photographs from 07-05-1997. Follow the link below to see the bass in action!